For more information about making a No Fuss Donation contact our Fundraising Chair. 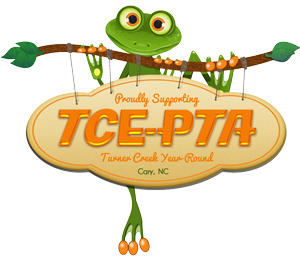 This school year, in order to continue TCE-PTA’s continuous efforts in supporting excellence in education at Turner Creek Year Round Elementary School, we are making a direct appeal for financial contributions. Why make a tax-deductible donation? The most important reason – all monies raised will help fund many wonderful programs that help our teachers, students and community. ​The Teacher Grants Program allows our educators to apply for monies to fund innovative projects, purchase new teaching tools, and supply resources that help raise the standards in our classrooms. Money raised will also help fund TCE-PTA's Technology Pledge that brings instructional technology equipment needed throughout the school each year. Your donations will also help support the over 35 programs TCE-PTA brings to Turner Creek Year Round that enrich the lives of the students, teachers and families of our school.